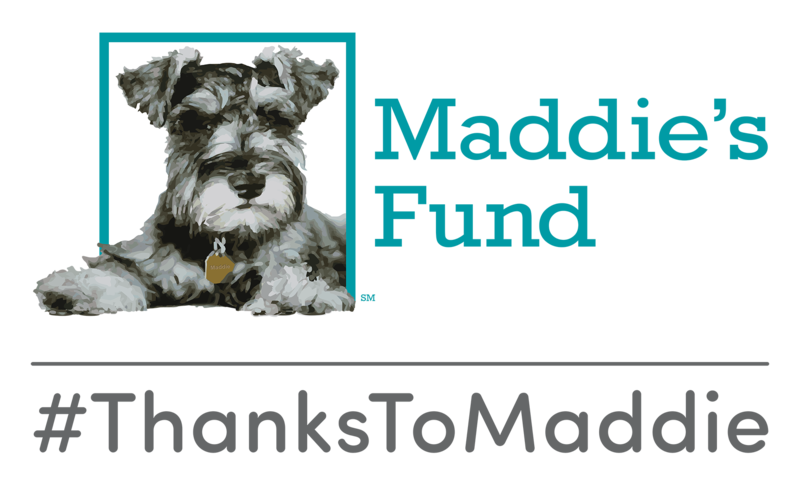 KittyKind is a proud recipient of funding from Maddie’s Fund®, helping to achieve a no-kill nation #ThanksToMaddie. Maddie’s Fund is the fulfillment of a promise that its founders made one evening while playing with their beloved dog Maddie on the living room floor. They promised that if they ever had enough money, they would give back to “Maddie’s kind,” so that other families could experience the joy of owning a pet. Since 1994, Maddie’s Fund has invested nearly $200 million in grants to help create a nation where no animals are needlessly euthanized and every dog and cat is guaranteed a loving, healthy home. In October of 2015, KittyKind was honored with a grant from Maddie’s Fund that is enabling us to spread the message of the little dog that inspired a movement to a lot of New York City cats in need. 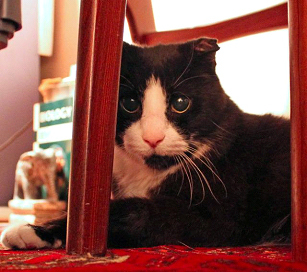 LOUIE, a 16-year-old cat brought to KittyKind after the passing of his owner. Because of Maddie’s Fund, Louie was able to receive a senior exam and blood work from our veterinarian partners that revealed he was suffering from hyperthyroidism and in the early stages of kidney disease. This diagnosis means that Louie will continue to require blood work, daily medications and a prescription diet for the rest of his life. 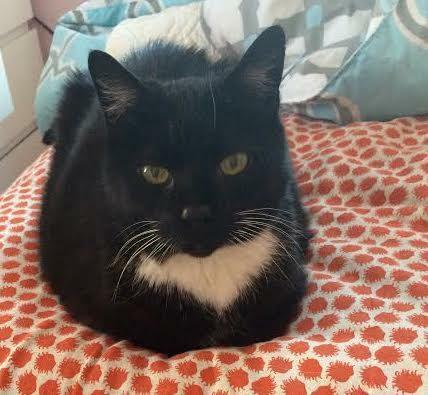 But thanks to Maddie’s Fund, KittyKind is making sure that Louie has everything he needs to live comfortably in his wonderful, new foster home. EVE, a 13-year-old cat found abandoned outside in a box. Eve’s senior exam revealed she had arthritis and dental disease that would require dental surgery and several tooth extractions. To make matters worse, Eve could not tolerate the caged environment of KittyKind’s adoption center. Thanks to Maddie’s support, KittyKind was able to get Eve the medical care she needed to live a pain-free life and recruit a special foster home just for her. Her foster family was so perfect in fact, that they adopted her in January of 2016! MINT CHOCOLATE, a 9-year-old cat diagnosed with the early stages of renal disease and originally pulled from NYC’s Animal Care Centers by a woman seeking a friend for her other senior cat. The resident cat did not accept Mint, even after six months of trying. Mint’s adopter was afraid to return her to ACC because of her age and kidney issues. 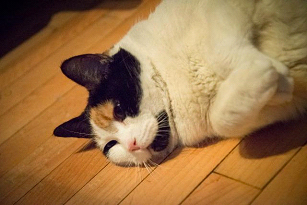 Thanks to Maddie’s Fund, KittyKind was able to include Mint in our senior and special needs foster program. Another vet assessment by our partner veterinarians revealed that Mint’s renal disease was much more advanced than originally believed, and that she would require daily sub-cutaneous fluids. Fortunately, with Maddie’s help, we found a wonderful foster home for Mint with a young woman who simply adores her and is an expert at giving daily fluids because her former cat had succumbed to the same disease. KittyKind is also using Maddie’s Fund’s 2015 investment in our organization for two new projects. The first is the implementation of a microchip program that will allow KittyKind to administer microchips to every cat in our system. We believe that our mission to help end feline homelessness in New York City cannot be fully achieved without doing everything in our power to help families keep their cats in their homes. A 2009 study by Linda Lord, DVM, PhD from the Ohio State University College of Veterinary Medicine, reports that lost cats with microchips are 20 times more likely to be returned home than cats without microchips. Mike Bridavsky), and Hannah Shaw. Attendees were empowered to take action in their community and many started by adopting the majority of the cats who went to Cat Camp. Thanks to Maddie, KittyKind was honored to be able to help organize an event that helped many of our most difficult to place cats in NYC.